Bruce Banner is on the run from the Government who wants to capture him and weaponize his gamma radiation that turns him into The Hulk. General Ross is the one chasing him down and he is also the father of Bruce’s love interest Betty Ross. General Ross has “lesser” scientists working to replicate the experiment that created the Hulk. He also has the classified super soldier serum (that created Captain America in the 40s) and uses it on his top soldier making him nearly invincible. Eventually the battle escalates and the super soldier is transformed into The Abomination which is a spiky, gray Hulk. They fight. Hulk wins. In the credits Iron Man approaches General Ross and offers to help. It sort of doesn’t. 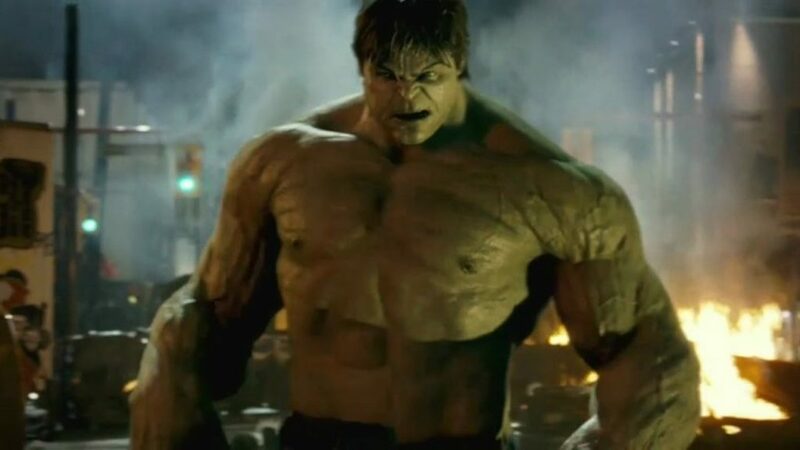 Edward Norton was Hulk in this movie and was almost immediately recast for The Avengers after rumors of contract disputes and stuff. Other than General Ross this movie is never really mentioned again and is sort of outside canon even though it exists in the same World. It is a really fun what if to think what would have happened if Norton had stayed in the role. Who It Introduced: Bruce Banner (again recast) and General Ross. CLICK HERE FOR ‘IRON MAN’! This entry was posted on Monday, March 19th, 2018 at 12:22 pm	and is filed under Film, News. You can follow any responses to this entry through the RSS 2.0 feed. You can skip to the end and leave a response. Pinging is currently not allowed. « Marvel For Dummies: ‘Iron Man’!